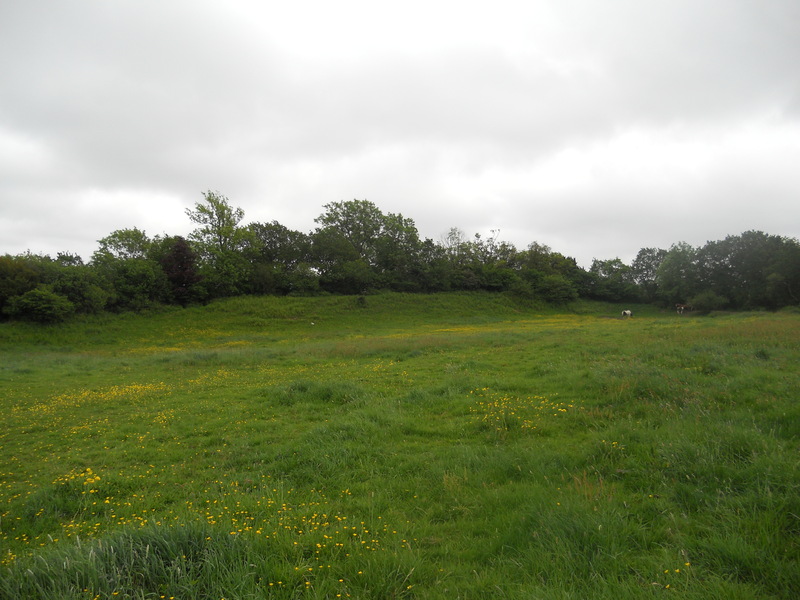 On the east side of the hillfort the boundaries appear to have been reduced to two banks and ditches to the north of the eastern entrance, and one to the south. The bank to the south of the eastern entrance is huge, measuring almost 10 m from the top of the bank to the bottom of the external ditch. It was clearly a statement of considerable power and prestige.